Exclusive Elie Listing! 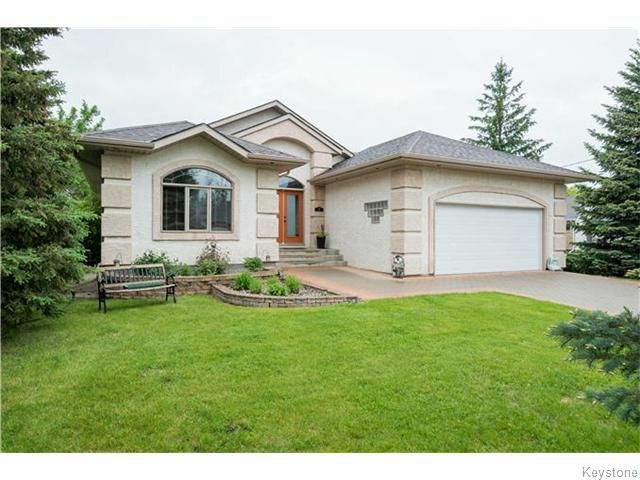 This 1746 sf CUSTOM built, stylish bungalow is loaded with many unique features! Upon entering you will be struck by the soaring ceilings, all of the natural light that is flooding in, and how open this home feels. A three-way gas fireplace, and beautiful hardwood floors elevate the level of polish in this gorgeous main floor. The master suite is set in the back corner of the home in a private location away from the hustle and bustle of the main living area and features a separate tub and shower, new countertops, new tile and shower doors. The fully renovated kitchen features white cabinets, granite counters, a downdraft gas cooktop, and all newer stainless steel appliances! Enjoy summer evenings with friends and family out in your very large and very private backyard on the two-tiered deck. This home also features a fully finished basement with additional bathroom, spare bedroom/office and rec room. Call today to make an appointment to see this lovely home.